Commercial Property: Have You Bought What You Thought? WHENEVER you’re looking to acquire a Commercial property for $1 million or more, you should undertake thorough due diligence on it … before making a final commitment. By trying to make due diligence a condition of the contract, this may offend the vendor and derail the whole deal. So, let’s explore both of these approaches in a little more detail. Apart from incurring costs and running the risk of missing out, there is an even more important reason for NOT undertaking your Due Diligence before finalising the commercial terms of any deal. You see, once you have completed your Due Diligent study, the vendor will assume your subsequent purchase proposals take account of any “defects” you may have found. And you are then also making your offers against other buyers, who may not have been as thorough as you have. Either way, you are at a disadvantage. At first glance, achieving this may seem an impossible outcome. But it all comes down to carefully framing your initial purchase proposal. Anyway, more on that in a moment. You are not incurring any unnecessary costs. But most importantly … if you do find any impediments with the property or documentation, you get a “second bite at the cherry”. Sometimes, that may be reflected in an adjustment to the purchase price. And other times, the vendor will simply agree to rectify the problems you have uncovered. Either way, you end up with and improvement to the deal already under contract. How do you set all this up? As mentioned earlier, it all comes down to how you frame your initial purchase proposal. You see, most people view negotiating as an Event — without realising that it is actually a Process. But even worse than that, they tend to focus solely upon one aspect — namely the price. And therefore, you end up with a situation where one party wins … while the other loses. 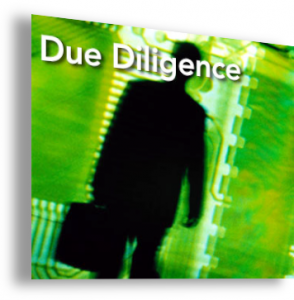 Under those circumstances, to then ask for everything be “subject to Due Diligence” … is clearly fraught with danger. The secret lies in properly framing your initial proposal to include at least three or four items under negotiation — one of which being the aspect of Due Diligence. Bottom Line: Top clients are given a copy of this Purchase Proposal from my Swipe Files — which you will also receive, as soon as you become part of my Negotiating Master Class. And armed with this, you’ll then hold a strategic advantage during all future purchases you make.